The simple and pure ingredients in Biofarm products come from the farm. Biofarm surrounds an EcoPark of businesses that respect the earth and what it provides. The entire park subscribes to sustainable practices and each business is symbiotic with the other. The mission of Biofarm is to supply sustainable products to health-conscious entrepreneurs and households, while also providing a means for community, agricultural producers, and businesses to maintain and expand sustainable practices. With this mission, Biofarm encourages resilience of the regional economy and influences business opportunity and growth. Biofarm all-purpose cleaning products, soaps & deodorizers work like conventional cleaners, but without toxic ingredients. Products are safe around food prep areas and there are no harmful effects when used in the home or around staff and patrons. Biofarm provides an OMRI Listed Food Grade Soap and Degreaser. Organic pest control options supplied by Biofarm include Bio Block for indoor and outdoor use, EcoShield for outdoor use and, and Bite Blocker concentrate for misting and fogging. All options are Non-Flammable, Non-Toxic, Eco-Friendly formulas that are made with food grade ingredients. Bio Block is safe for use around food prep areas. It kills insects on contact, with one month residual activity. Bio Block is not to be used on vegetation. Use EcoShield to control insects outdoors around vegetation. It quickly kills most soft bodied agricultural insects including ticks, mosquitoes, ants, and fleas without harming plants. Biofarm carries the Mantera Tea Collection by Elderwoods Tea Company. Mantera Tea Collection blends are made using organic & sustainably grown Yaupon sourced from the southeast and hand-blended with herbs and native plants grown on sustainable farms in the southeast. Ingredients are selected for enhancement of taste and therapeutic nature of Yaupon. Yaupon is the only "tea" plant that is native to North America. It is smooth and earthy, with subtle vegetal notes. Remarkably rich in flavonoids, it is a valuable antioxidant. 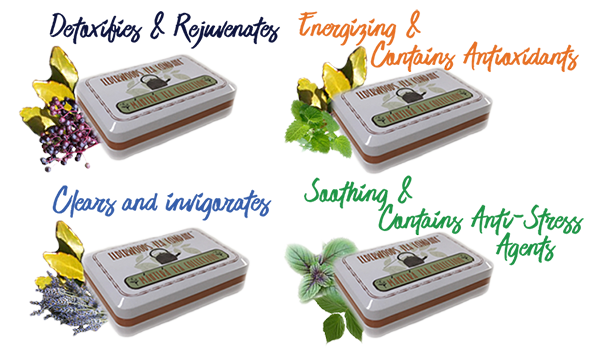 There are four tea blends available. Each tea blend comes in a collectible, food-grade tin. Visit the Teas link to order. Purchases of Biofarm products may be made on this site. Farm supplies are available through the Farm Supplies link. Restaurant supplies are available through the Restaurant Supplies link. The Biofarm Community link provides resources for learning more about establishing toxic free communities.